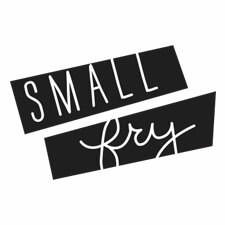 Last holiday season, we shared a Service Advent idea where everyday for one month you’d select a small kindness-oriented task to complete with your kids. It was a truly life-changing experience — so much so that we knew we had to bring it back! This time, we wanted to give you fair warning so you can join too. So starting today, we’ll be using the hashtag #12daysofservice where we can all share ideas and experiences (we’ll be featuring our favorites here and on our social media)! We think this is a great way to celebrate the season of giving, and we know you will love it too! Today, we wanted to share one of our favorites, which we hope will get wheels turning! First, pick a few colors of paper and cut them into small strips, gradually getting shorter. 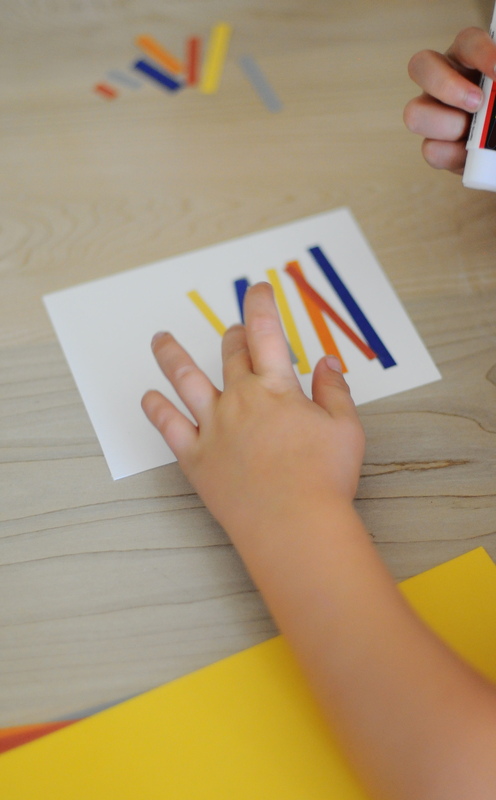 Together with your kids, glue the backs of the strips and place them on a plain white sheet of card stock cut into fourths. Start with the longest strip at the bottom of the card and glue each strip down, grabbing slightly smaller pieces as you go upward. Once you get to the top you can add a yellow star to give it that holiday tree feel. Then load up in the car and write uplifting messages on our cards like “You have a great smile”, or “You’re doing a great job”, “The world wouldn’t be as bright without you in it” and “You are loved”. Keep your eyes peeled for someone who could use a boost. We went to a couple of our little guys’ school parking lots and added them to teacher’s windshields. We also spotted a mom with a cart full of kids and slipped one under her car’s windshield wiper. Later we left one for older man leaving a doctor’s office. Once we started it’s all we could see, and we quickly ran out of cards. The boys were so bummed and could’ve kept going all afternoon! You’ll see that most of the ideas we’ve included in our idea sheet below are quite simple. They’re easy to add to your day without adding unnecessary stress. 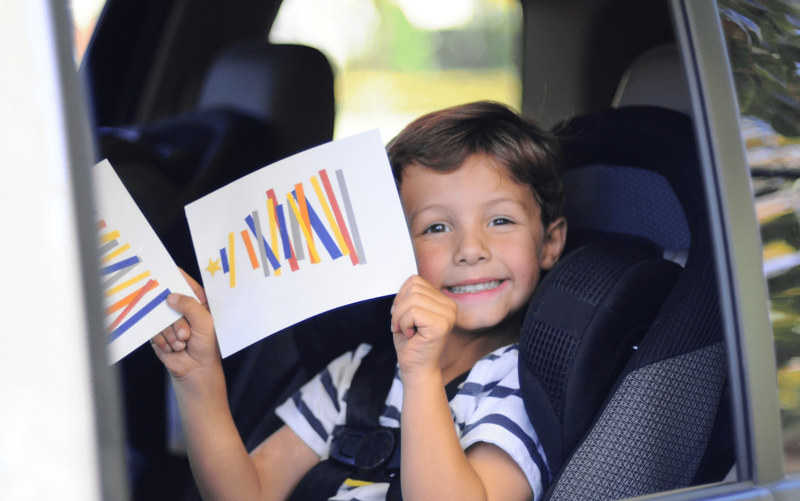 Small kids can grasp and enjoy them all, but they’re easily modified for older kids, too! So, are you in? 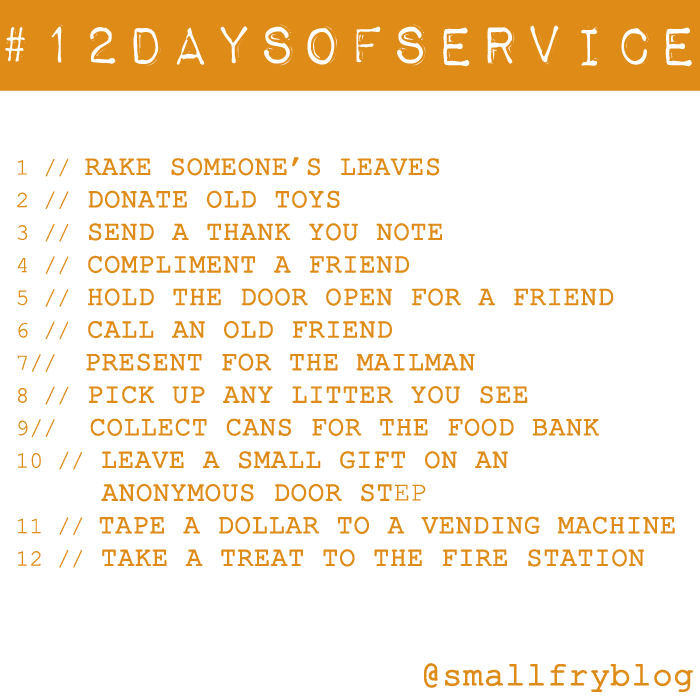 We’ll be sending reminders and sharing how it all plays out here and our Instagram, Facebook and Twitter pages using the hashtag #12daysofserviceto to tie things together! Print off some of our favorite ideas below, and pick one a day starting November 15th and ending November 26th, right before Thanksgiving. We’re excited to add a little bit of kindness into the world with you! Totally doing this with you guys, love it! hahah! thanks for the heads up! definitely wouldn’t want to leave that on a stranger’s windshield.